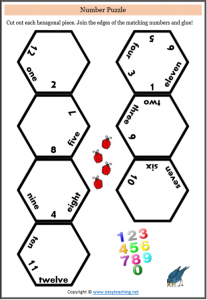 Cut out each hexagonal piece. 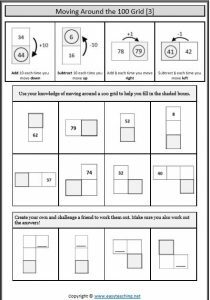 Join the edges of the matching numbers and glue! 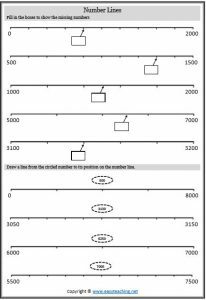 Identify the location of 4-digit numbers are on a mix of number lines. 100 grids. 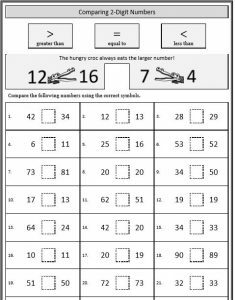 Use for counting or patterning. 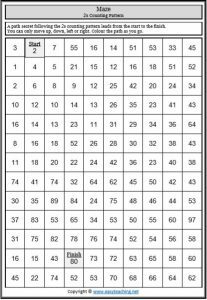 Use place value skills to identify numbers around a 100 grid. 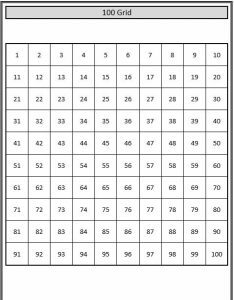 Use place value skills to identify numbers around a 100 grid (individual segments). 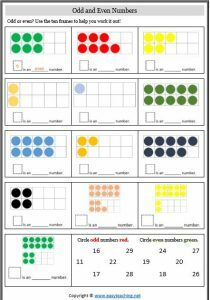 Identifying even and odd numbers. 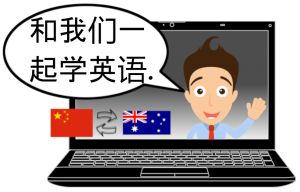 How do we tell even from odd? Making odd & even numbers. 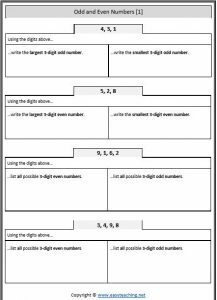 Use given digits to make odd and even numbers. 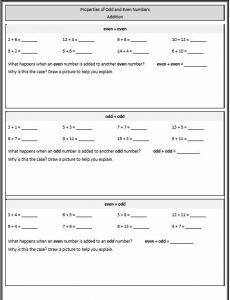 Properties of odd and even numbers. 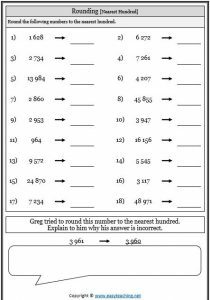 What happens when an odd number is added to an odd number? Or an even to an odd? 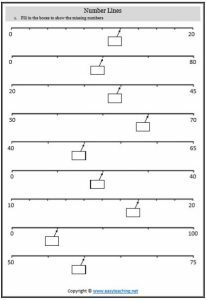 Use the ‘greater than’ (>) and ‘less than’ (<) symbols to compare numbers. 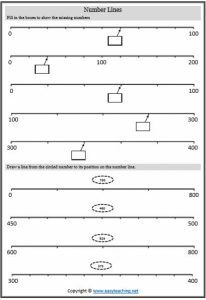 Follow the counting patterns to determine the missing numbers. 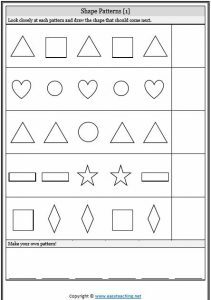 Children work out the next shape in the pattern sequences and then create a pattern of their own. 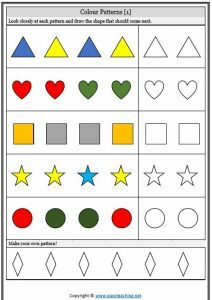 Children work out the next shape (and its colour) in the pattern sequences and then create a pattern of their own. 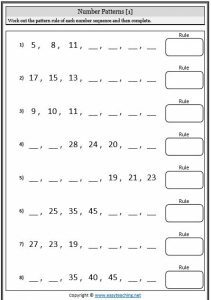 First, determine the pattern ‘rule’. 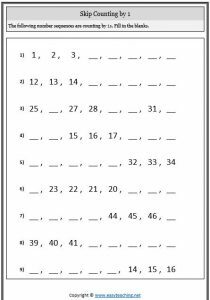 Then apply it to fill in the missing numbers. 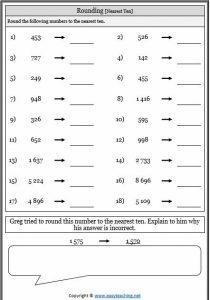 Rounding numbers to the nearest 10. Rounding numbers to the nearest 100. 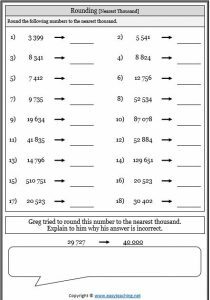 Rounding numbers to the nearest 1000.